<em>Town and Country</em>’s Yvette Fernandez recently rubbed elbows with the <em>New York Times</em> bestselling author. Sometimes real life can be better than fiction. 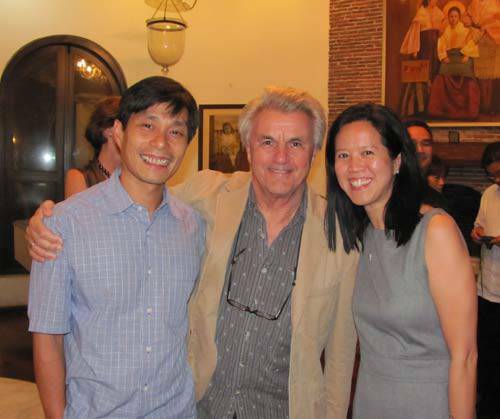 At least that' s how we felt two nights ago when we had dinner under the stars in Antipolo with American novelist John Irving, who first burst into the world' s consciousness in 1978 with the The World According to Garp. 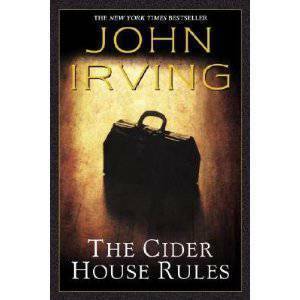 Four of Irving' s novels, including The Cider House Rules, have since made it to the top spot on the New York Times bestseller list. 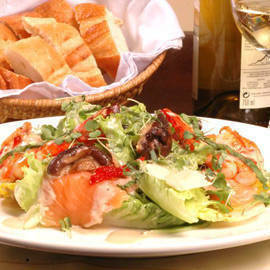 The film version of Cider House was released in 1999 and nominated for several Academy Awards, including Best Picture. Irving won the Oscar for Best Adapted Screenplay. 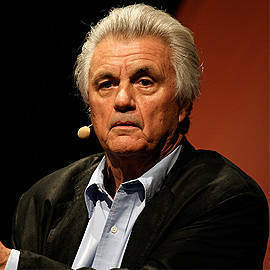 The last time I saw Irving was at a book reading at Radio City Music Hall in New York about four years ago. I had paid over a hundred dollars for what was probably the cheapest seat in the house, and I had to use binoculars to see him properly. But it was a treat to listen to him read a selection from his book A Prayer for Owen Meany, a few humorous pages about children being cast for a play. JK Rowling and Stephen King were the other stars of the magical event dubbed "An Evening with Harry, Carrie and Garp." Fast forward to Monday night, and there we were, just inches away from 68-year-old Irving, as he sipped on San Miguel Pale Pilsen, feasted on a spread of Filipino dishes and talked about his writing life as we dined on the rooftop of the Pinto Art Museum, the magnificent new home of the art collection of Dr. Joven Cuanang, medical director of St. Luke' s Medical Center, patron of the arts and our gracious host for the evening. Irving was in town with his wife/agent Janet and son Everett, a college freshman in New York. They were guests of Boston-based physicians Ric and Minnie Domingo, whose daughter Nicole went to boarding school with Everett. The Irvings had arrived in the Philippines a few days before New Year, and almost didn' t make it because they had been stranded at the JFK airport in New York for 27 hours due to a massive snowstorm. Fortunately, they pushed through with their trip and managed to soak up the sun and the tropical weather of the Philippines, spending time on the beaches of Bohol, Palawan and Sitio Remedios, Dr. Cuanang' s village resort in Ilocos Norte. That night, we toured Dr. Cuanang' s galleries of spectacular Philippine contemporary art (Janet was especially moved by the works of Emmanuel Garibay), and then sat down to dinner at one long table-the Irvings, the Domingos, several medical colleagues of Dr. Cuanang including Drs. Brigido and Honey Carandang, Dr. Jose Moran and my date, Dr. Peter Rivera; tourism expert Rene Guatlo; National artist BenCab and Annie Sarthou; and journalists, Thelma San Juan, Jessica Zafra and Alya Honasan, an ardent Irving fan who had an animated discussion with him about some of her favorite characters in his novels. We talked about his writing life (how he writes eight to nine hours a day, not because he is disciplined, but because he really enjoys what he does), his button-like tattoo on his forearm (actually the boundary line on a wrestling mat), U.S. politics, how Irving and Janet first met (at a publicity event for one of his books), Janet' s hometown of Toronto, their Labrador named Dickens. It was such a relaxed evening on the hillside overlooking the twinkling lights of the metropolis that we easily forgot we were with a celebrated author, at least till after dessert, when we went downstairs to Dr. Cuanang' s private quarters so Irving could sign some books. Out came the worn paperbacks and the well-loved, yellowed, hard-cover books from decades past and the much more modern digital cameras to take some souvenir photos. We had to look at them the next day to make sure the night before had actually happened.